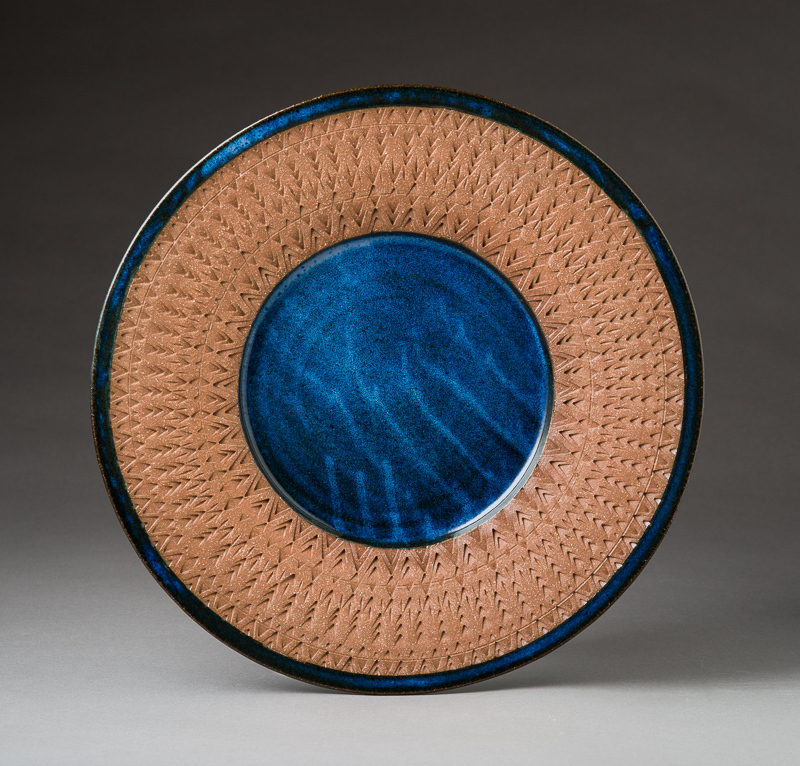 This is a sampling of my stoneware work. 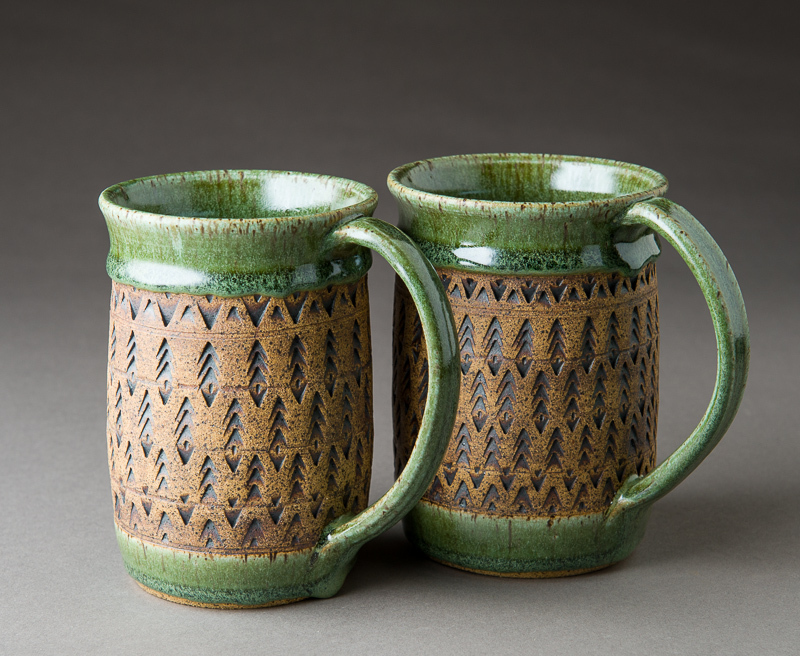 Lately I have been creating geometric patterns in selected pieces using primarily a bottle opener (or “church key”) to press the pattern into the clay. 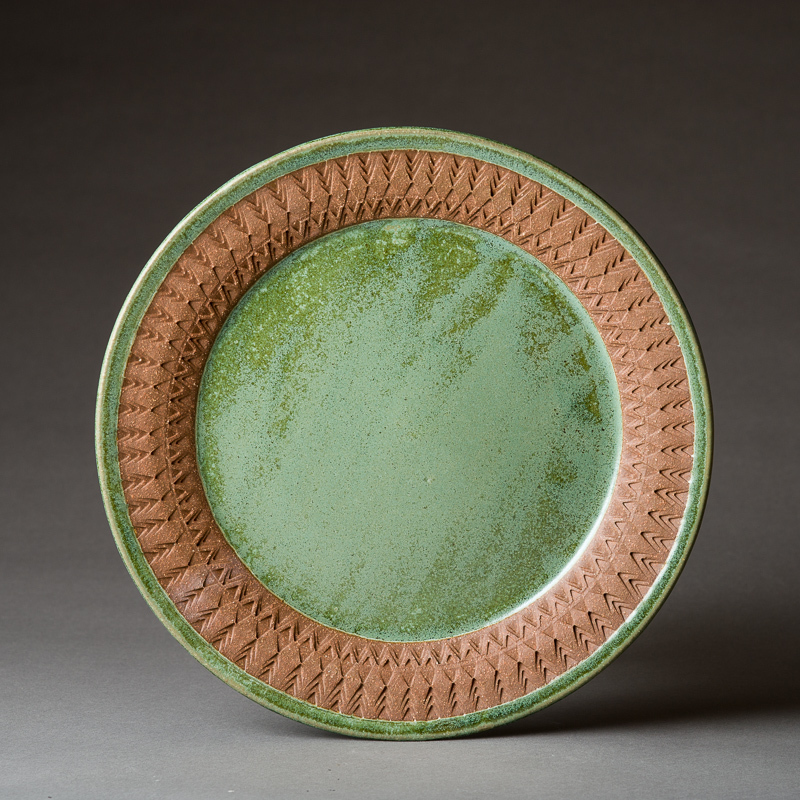 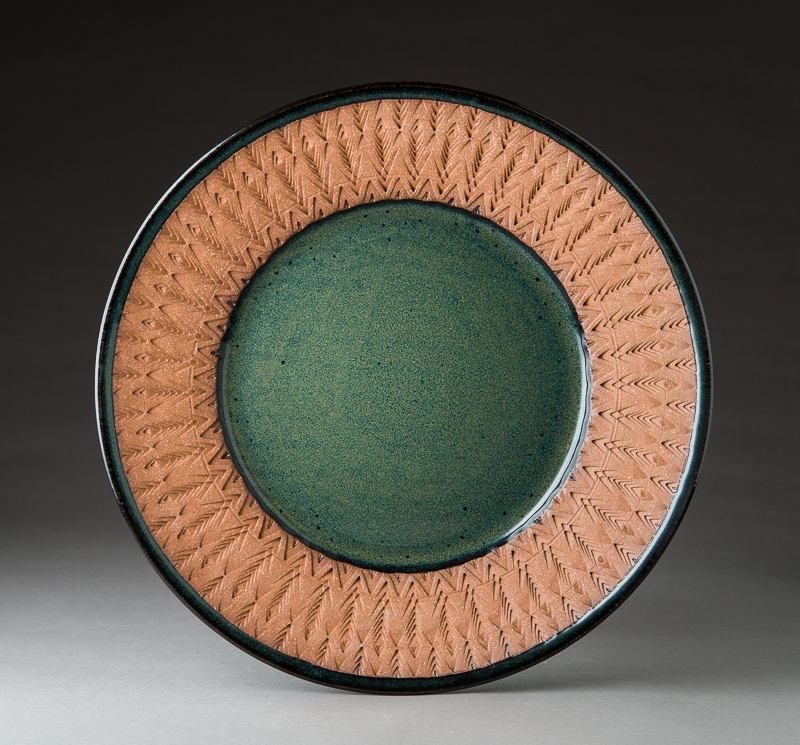 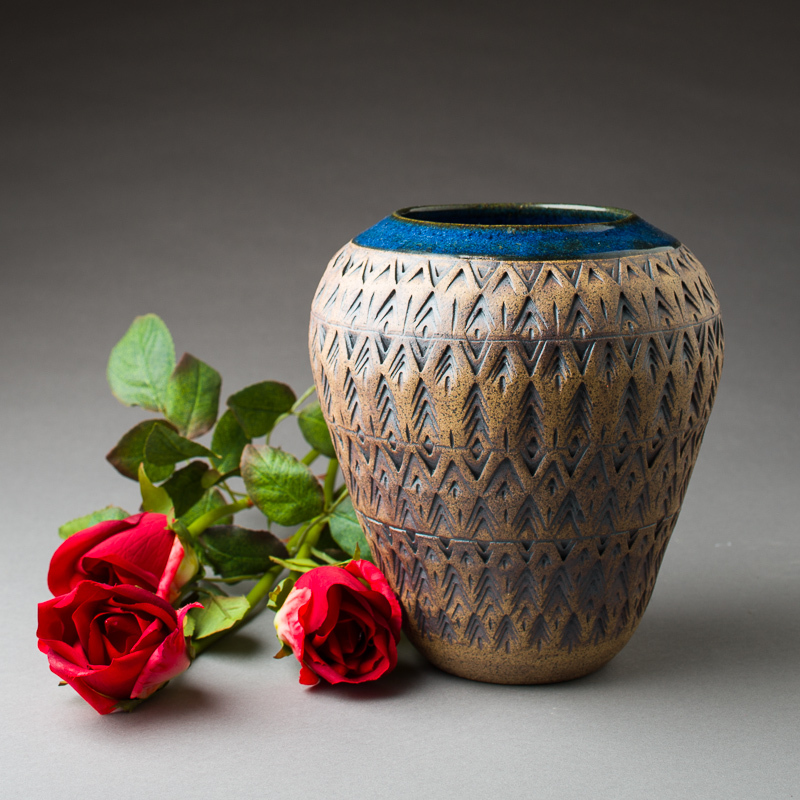 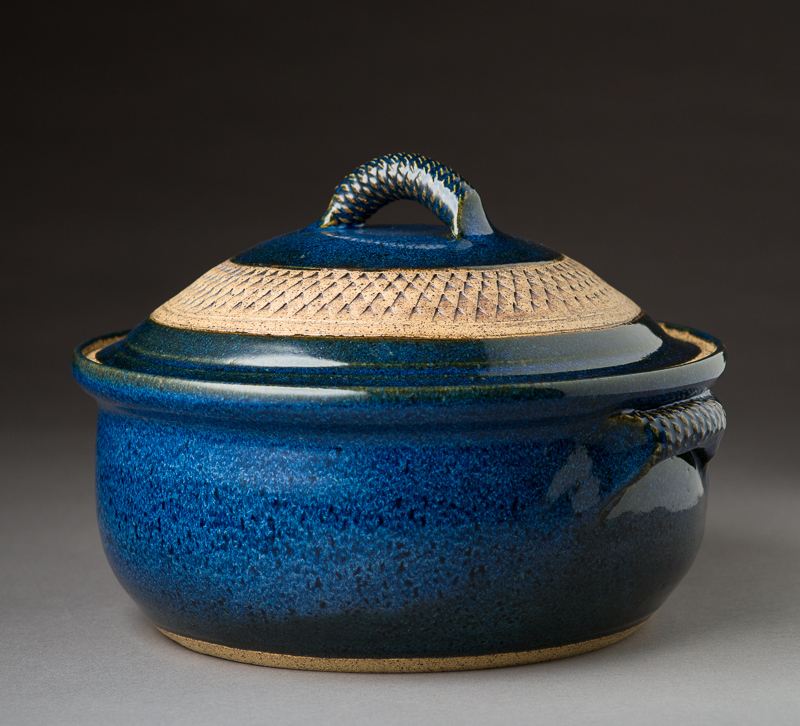 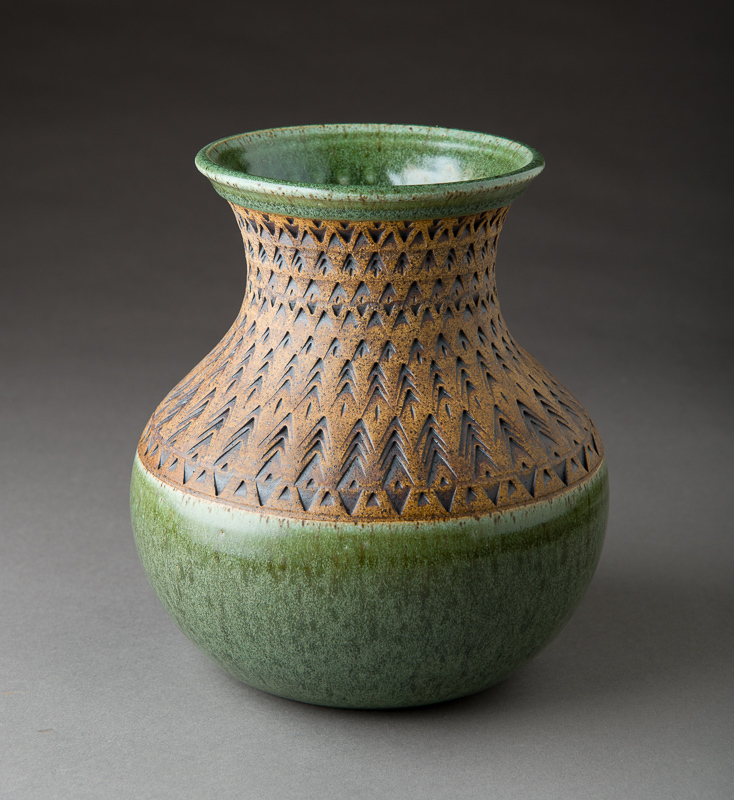 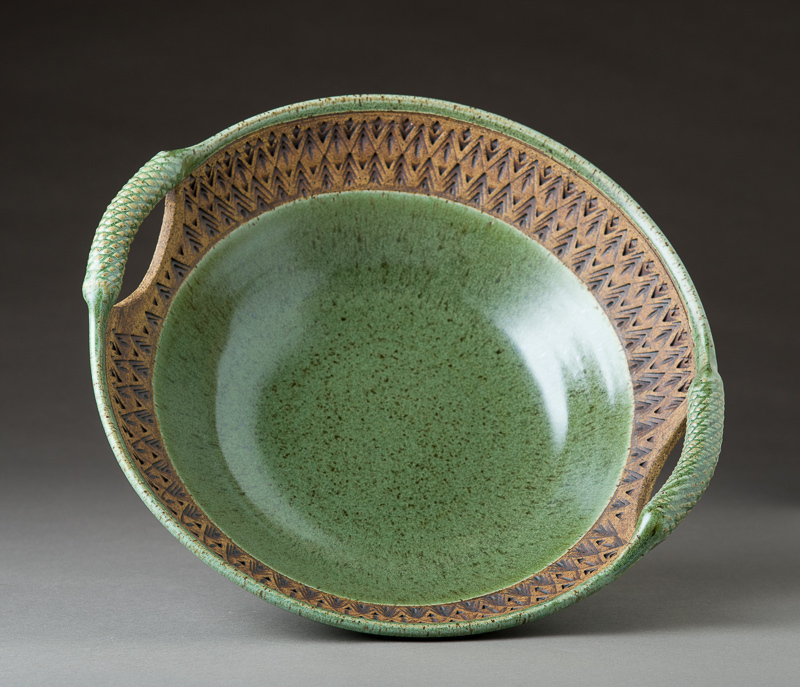 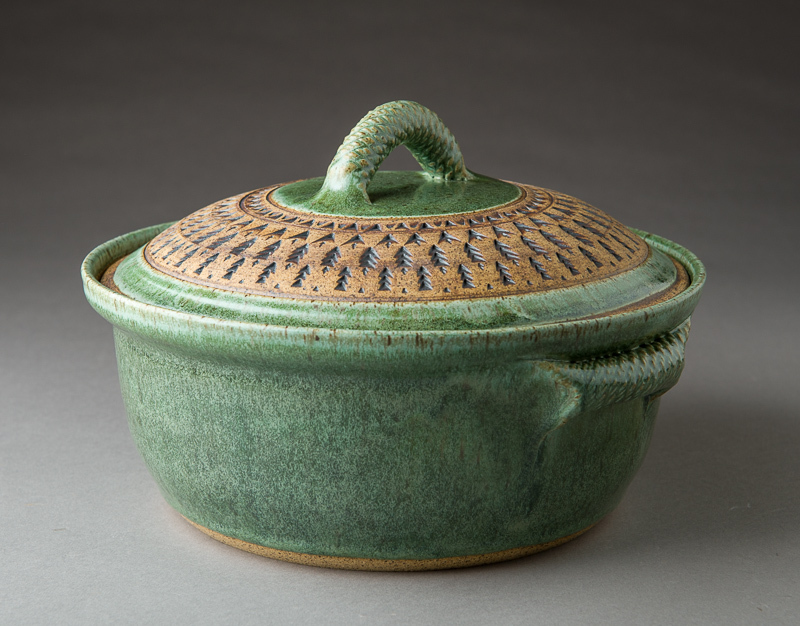 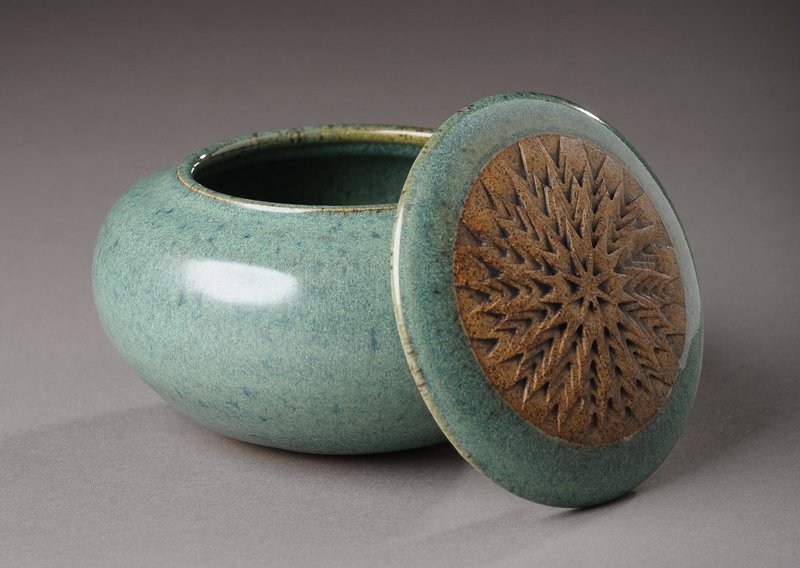 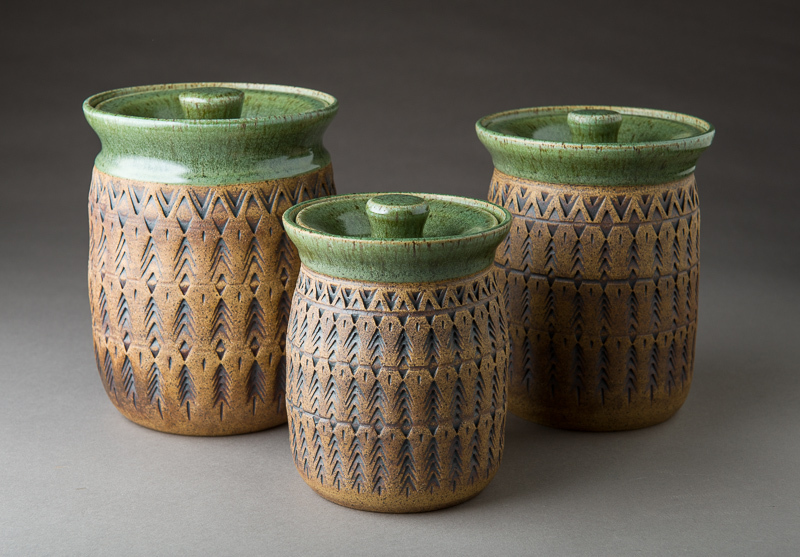 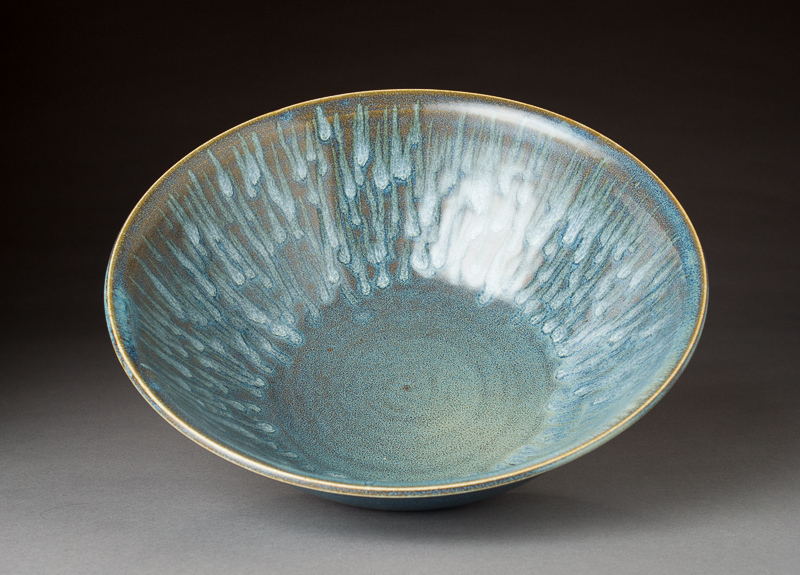 The patterned parts of the pieces are left unglazed to show off the texture and detail.